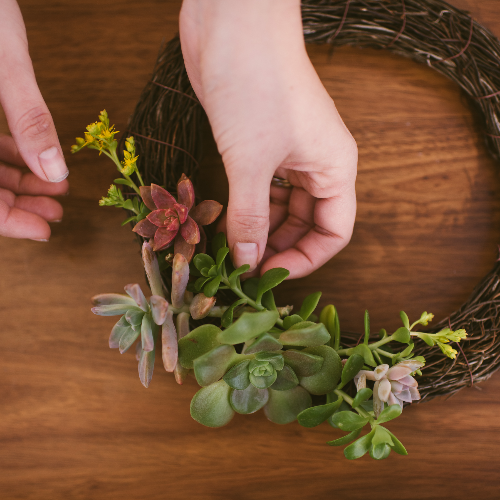 A wreath making workshop that focuses on succulents: propagation, care, and arrangement. All attendees create their own succulent wreath on a grapevine form. All supplies, food, beverages, and a glass of Zaca Mesa wine are provided.